The Rysy peak (2499 m) is a peak of the main comb of the Tatras mountains situated right on the border between Slovakia and Poland. It consists of three peaks: the north-western (bordering) one, with a beautiful view; the middle (main) one and the south-eastern one, which is the lowest. Three mountain combs join the Rysy peak: northwards to Malé Rysy (Small Rysy), southwards through Váha to the Český štít (Český Peak) and westwards to the Žabí kôň (Frog Horse). Rysy is one of the most visited peaks in the High Tatras. It offers really a breathtaking view at the surrounding panorama. 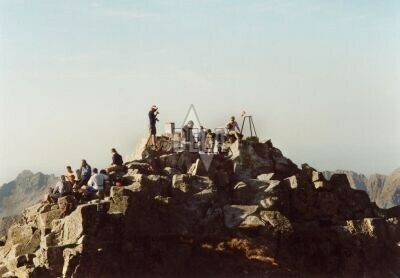 Therefore they had been promoted already before the World War First as an "unagarian" or as "Tatras´ Rigi". Eduard Blásy (1820 - 1888), the administrator of the Old Smokovec, and Ruman Dieeny sr., were according to official documents the first people that ascended on the top of the peak. Teodor Wundt and Jakub Horvay (April 4, 1884) were the first people who did it in winter. 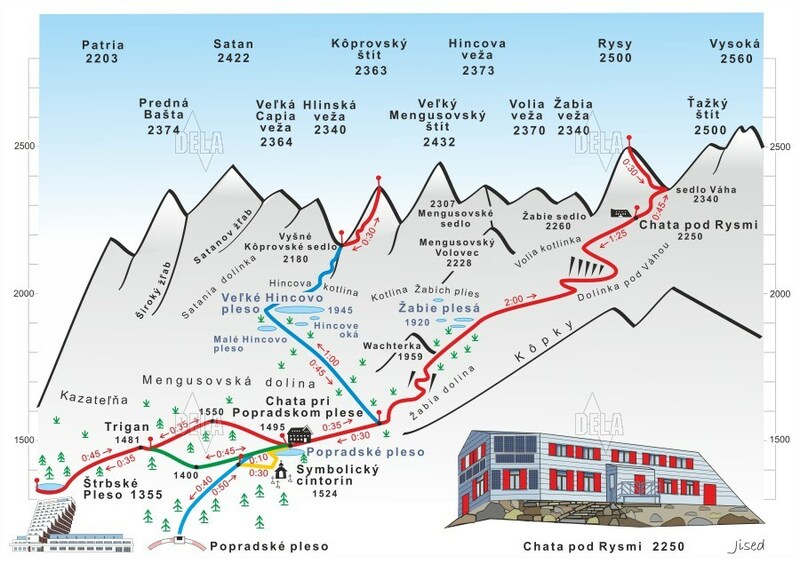 There has been a marble-board in order to remember the first ascent of Blásy, since 1890´s. A world famous nuclear scientist, Marie Curie-Sklodowska (1867 - 1934), and her husband Pierre visited Rysy in 1899. Vladimír Iľjič Lenin ascended to the Rysy peak in 1913, too.